Numbers are everywhere in your everyday life yet most people don't pay too much attention to them. But is there more to number than meets the eye? Author Hilary Carter thinks so. Do interesting dates such as 11/11/11, 11/1/11, 12/12/12 or 21/12/12 mean anything? Is 666 really an evil number? What is the secret behind the mysterious number 23? What is the meaning of the 11:11 phenomenon? Why do you keep looking at the clock at exactly 22:22 or 3.33? Do you keep seeing number patterns such as 1221 or 123321? Or repeated digits like 555 or 444? ÿWhat numbers are hidden within your name? Can you change your name to change your life? What number are you? Are you aÿnumber 5 person, flitting from one thing to another? Maybe you are an inventive and energetic number 1.ÿYou could even be a very rare number 22. 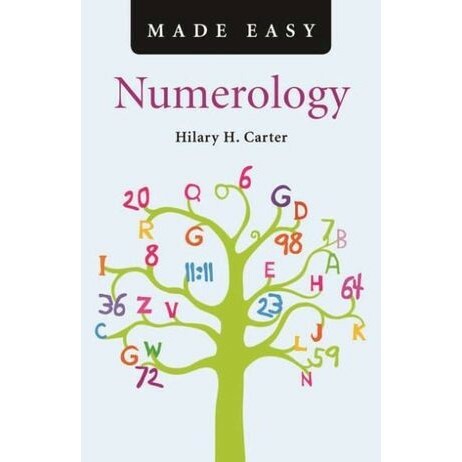 You can find the answers to all these questions in this practical and easy to use guide to numerology. You can also learn how to interpret number sequences and how to decode the fascinating and enlightening language of number.